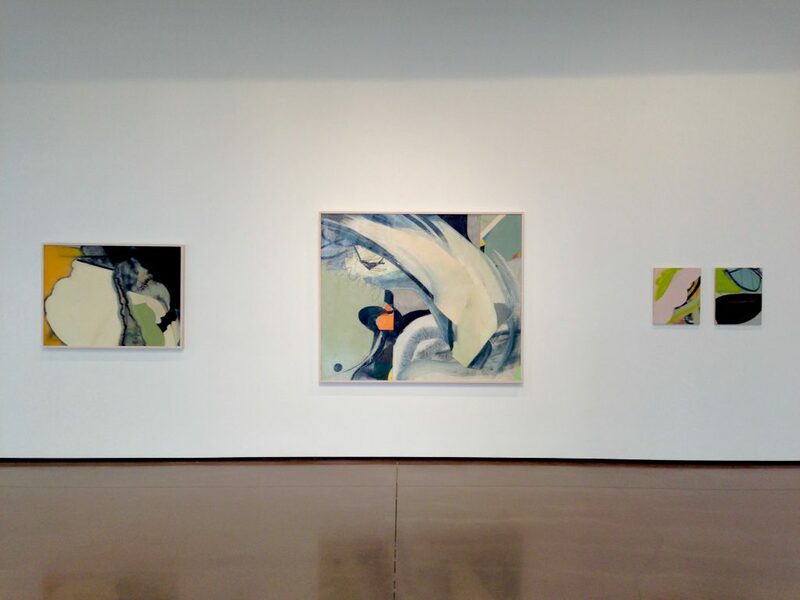 Overlap, the first solo exhibition for Phillis Ideal at David Richard Gallery, features selections of recent abstract paintings from 2 distinct bodies of work. The first is playful, consisting of colorful gestural abstractions with bold rhythms and vigorous brush strokes in a range of sizes. The second is a smaller body of work, attenuated with respect to smaller dimensions, reductive color palette and fewer brush strokes. The paintings are minimal, evoking a calm with the artist’s predominate use of black, white and a range of greys as well as an emphasis on line and creating a meditative state.